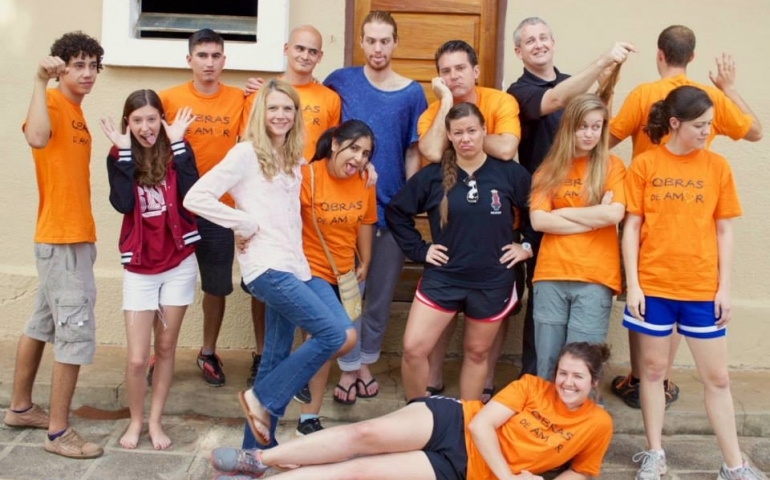 Another of the many SIMS teams that went out this summer was sent to Paraguay. The team was led by Joel Mullen and consisted of Emily Allen, Tiffanie Sanchez, Sidney Ketchum, Lindsay Lester and Michael Vierow. Their SIMS experience was a little different because they spent six weeks of their summer in Paraguay, whereas other SIMS teams primarily kept their visit to two weeks. This difference created new joys and challenges for the team. I asked Sidney Ketchum about her experience on this trip. She told me that the team worked with the missionaries in Asunción on a project called “Obras de Amor”, which means Work of Love. Three days out of the week, the missionaries and the team members offered their help to the surrounding neighborhood community. “A lot of times we would help cut down trees and clean up yards, but we also built relationships with these people,” said Ketchum. On the other days, the team was preparing for a ministry day with the children and youth, and at night the team gathered with the youth for a worship service. A challenge for the team was the language barrier, but they found that through sports, the children and the team members were able to connect. Michael Vierow, junior, explained how being in Paraguay for six weeks allowed the team to really get adjusted to life there. “I felt like we were less going on a quick trip and more like we were living there,” said Vierow. Both Sidney Ketchum and Michael Vierow assured me that going on this trip and seeing the love of God in people from a different country was a blessing to them. The trips for next summer have been planned and you could join a SIMS team of your own. You could find yourself in a new place, meeting new people, eating new food, growing closer to students at SNU, and getting the opportunity to do something with your faith. If you have been on a SIMS trip of your own, I encourage you to talk about it and keep talking about it because your journey didn’t end when you arrived back at SNU. If you are thinking of joining a SIMS team, pray about it and keep praying about it. And when you think about SIMS at all, pray for Sidney Ketchum and her return trip to Paraguay.